Are you worried about your privacy? Are you travelling to a secret location with your phone number? Can it be leaked? Don't worry, this article will reveal the way they use to track your phone and how to stop it. Also, there are many ways, which you can follow to find the live location of the cell phone. So, firstly, we will describe here a few simple methods which might help you to know to track a cell phone number in an easy way. The device must be turned on, should not be switched off at any cost. The mobile network should have an active internet package so that this can use data while sharing the location. 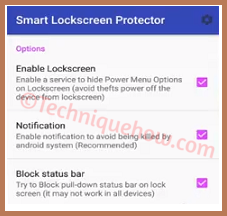 Note: There is a third-party app available in the Google play store named 'smart Lockscreen protector'. You must download that to lock or password protect the switched off button on your device. (i) If your phone is lost and the SIM card is active then the operator can track your cell phone location using the IMEI of that device. For this, you will be needed the help of the police. So, go to the nearest police station to file a request for tracking your cell phone ASAP. 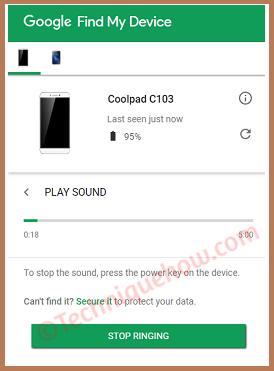 (ii) As it is a hefty process, you can use an alternate method using Google Find My Device, also known as Android Device Manager. Along with this line, you can lock or erase the entire device whenever you want. Just the requirements will be the same in this case. You just need to connect your device to this Google security tracking system using your Google ID. After that, you can view your device location from your PC by logging into the same Google account. 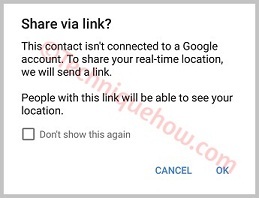 Also, you can share your live location with another person just by adding his/her Google account id into the Share option. (iii) If you want to access more features on tracking a device, use other online cell phone tracker which might help you to track your mobile location with more added features. What is the Accuracy of Finding the Live Location of a Cell Phone? This is the most common question people ask about the reality of these apps like Google Find My Device. The simple answer is, why don't you give a try to this! It's FREE. If your question is about to know the process of tracking a cell phone which is done by the SIM card operator, has a good accuracy but not that much as Google and other apps do. On that case, the requirements also very less, just you need to have the cell phone and phone number turned on or active. You can use this method to track normal GSM or CDMA phones easily. Besides, using the Google Find My Device, you can ring your device whenever you want if it is lost. How Do I Lock Switch Off Button If the Phone is Lost? This going to be the first and recommended suggestion in case your phone is stolen. Just install an app from Play store and all set. i. Just find & install 'smart Lockscreen protector' and open it. ii. Now, from the device enable it and tick the required options to activate the app. Now, your device is protected from that type of risks. How to Track Someone by Phone Number without Knowing Them for Free? You want to spy someone else's phone location... Right? Well, this procedure might do that job for you easily. We all know that exact location is identified by the mobile network. But, the IP does nearly the same work for you. This procedure might give you the Longitude & Latitude of someone else who is using mobile internet on his device. This procedure does not any software to install on your device. The whole process is easy to follow. First of all, you will be needed the mobile number of that person you want to track. For, this you need to send him/her a message link & that should be clicked by him/her. What is the message to send? Now, go to iplogger.org. There you will get the required two options i. Location Tracker, ii. URL Shortener. You get to learn both of these two options. 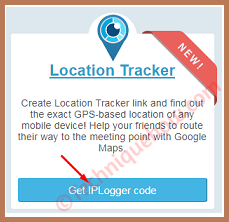 Firstly, click on 'Location Tracker' and hit 'Get IPLogger code'. There you will get one red coloured link for tracking or viewing the log and another green coloured link to get people clicked on it so that you can get their location information. Another one is URL shortener and this is recommended as the person might never understand that he has been tracked. 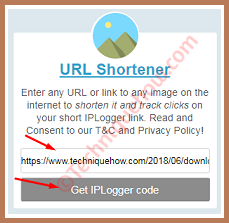 Just enter the desired link and click 'Get IPLogger code'. The same red and green coloured links will be generated which do the same job again. Now, once the person clicks on the link the IP gets recorded. Check the location of the IP from any online site and it's done. This is how you can track anyone using phone number without knowing them a bit. For more, you can shorten the clickable links again using Google URL shortener. 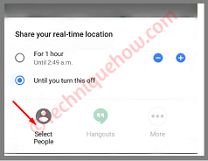 If you want to track your or someone else's phone using GPS feature, the device must be an Android Device and the app should be installed into that device for these below processes. 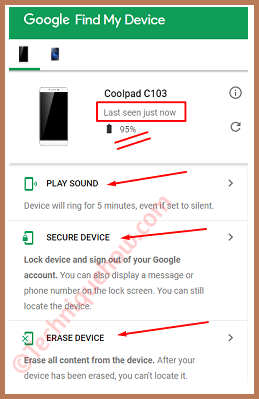 How to Track Phone using Google Find My Device? 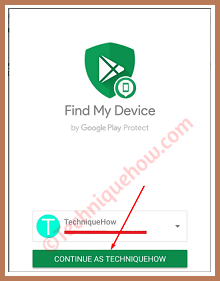 First of all, the device should have the app installed from Google Play store named 'Find My Device'. Now, select an account to log into that app which one will be used for tracking the same device. Once the set up is done, just go to https://www.google.com/android/find this URL. The status will be changed from 'contacting device...' to 'connected' or showing your exact location. Now you have three more option to take action with. You can Ring the device to find the device if lost somewhere near to you. On the other hand, you can erase & lock the device if you want. (i) The Ring you click will last only for 5 minutes. You can check the remaining battery below the device status. (ii) If you think your device is stolen it is better to contact the law enforcement for retrieving. How to Track Phone Location using Google MAP app? If you want to track your location along with the device-travelling history then this procedure might help you. Just you need to have the device location sharing active. 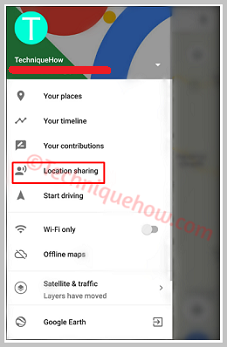 Just open the Google Maps and tap on 'Location sharing' option from the left side. Now click on '+' icon to add people you want to share your location with. Next, click on 'Select People' option from the options. Now, into the box type name, mobile or email ID to find persons. Note: For email ID, the location can be seen from their Google MAP account. But, for phone numbers, a link will be sent in this case. The best option for tracking is by using the Google Find My Device app. But, if you want to get someone else location then method 1 is helpful on that case.